Jessica with Innersense Organics before and after heat treatment using Color Radaince Daily Conditioner. I have a special place in my heart for my Swavy/Wavy guests. Jessica found Kelly Elaine Inc. because she is choosing to detox her life and found us through the Innersense Organics beauty salon finder. She wasn’t sure she had enough curls to make a Custom Curl Cut worthy. 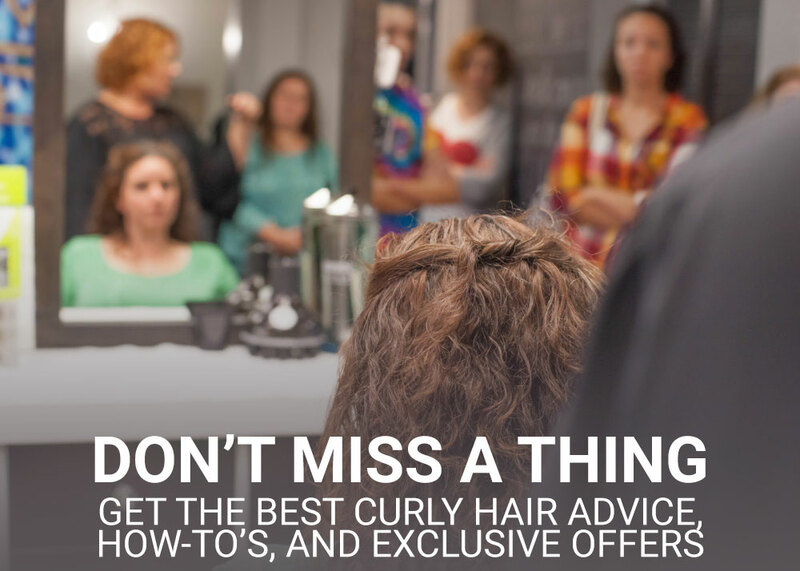 Jessica loves curls so much she even got perms for years at big name salons while living in NYC. During her consultation I assured her there would be plenty of curl and texture to make a Custom Curl Cut worthy. Jessica had been cutting her own hair for several years in order to avoid going through yet another bad haircut experience. We evaluated the heat damage on the ends and we both knew that this is the beginning of a new journey for Jessica. In order to get the best Custom Curl Cut we detoxed, and chose an awakening hydrating ritual with Color Awakening Hairbath, and Color Radiance Daily Conditioner. 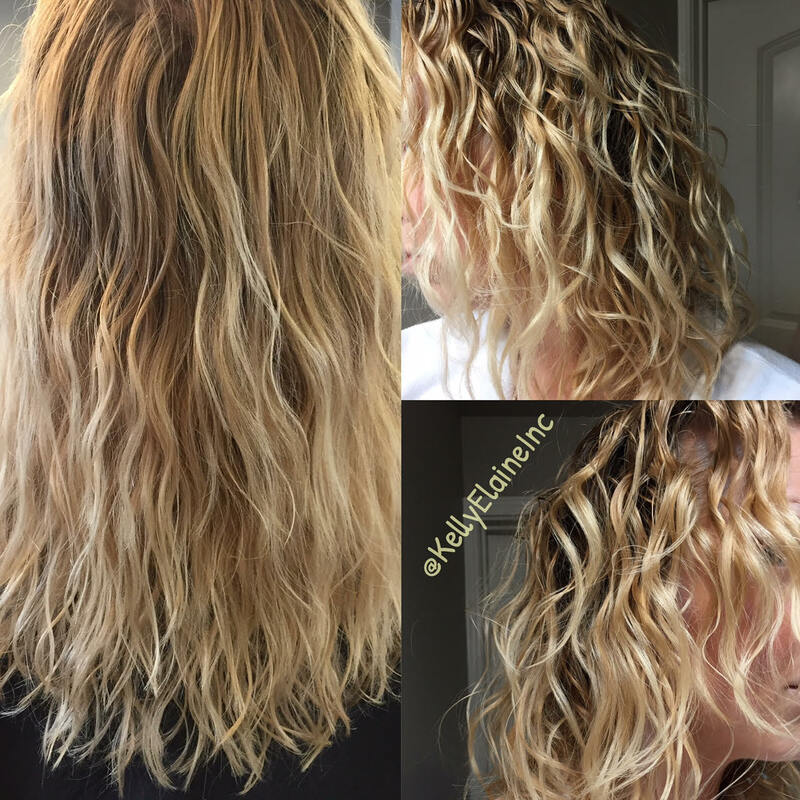 We styled her waves using Quiet Calm Curl Control as a filler and I Create Hold gel, scrunched dry using a diffuser. During the drying process we also used the I Finish Hair spray old school style, layering the spray throughout the head and adding some low heat while continuing to scrunch to really bring out the curl pattern. We then did the Custom Curl Cut once we saw the texture in the hair. The picture after her lesson and after her cut is the one on the left.We wanted to maintain length while removing some damage. We also wanted to enhance the curl pattern and create volume. Many Swavy-Wavies love volume. I even showed Jessica some gentle back combing techniques after she was completely dry and after our cut to maintain the volume she loves. Jessica’s main priority is to detox her and to get her hair back to a healthier state as fast as possible. Jessica messaged me to ask if she thought it was a good idea to use heat with the Color Radiance Daily Conditioner, I said “Heck yeah!” (or something like that) The little pictures are after Jessica used a heat cap and before she went out for an event that evening. The results are beautiful, do you agree? HOT TIP: Use a heated cap after cleansing and conditioning with Innersense to get to an even higher level of moisture sooner! Cleanse, Apply Innersense Conditioner, cover with plastic or light damp towel such as a flour sack towel, put heat bonnet on or sit under a heated dryer for approximate 10-20 minutes. Remove cap, let cool, rinse and style as usual even though your hair will be way more than your usual!